Brunoise cut the onion. 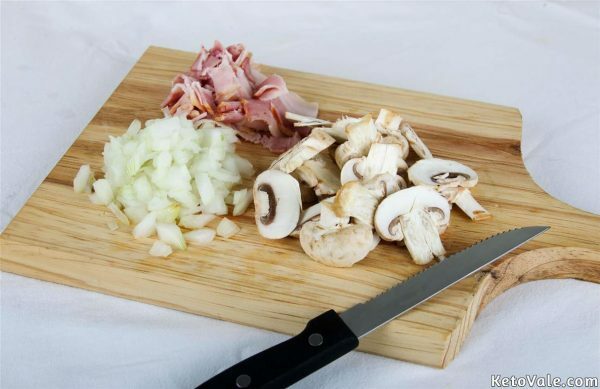 Slice the mushrooms and bacon into small chunks as well. Heat an 8-inch non-stick skillet coated with cooking spray over medium-high heat. Cook the onion and bacon in the pan. 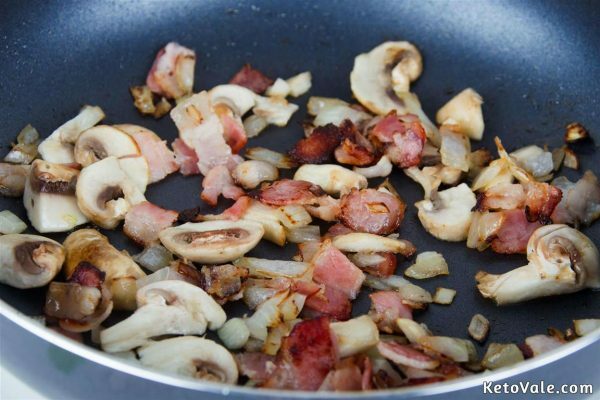 Once the bacon is toasted enough, toss in the mushrooms and remove from the heat. 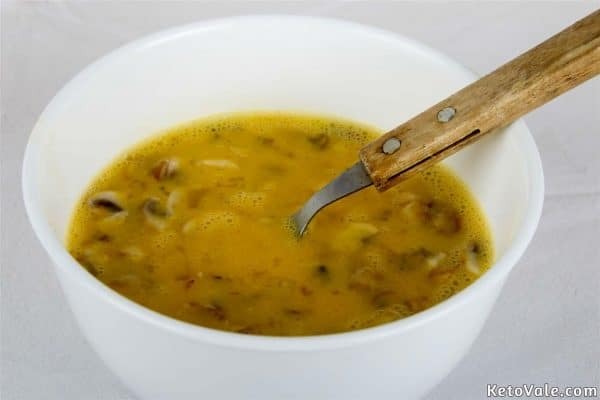 Beat the eggs in a mixing bowl. Flavor with sea salt and black pepper then add the cooked bacon, mushroom, and onion. Gently pour the egg mixture into the pan. 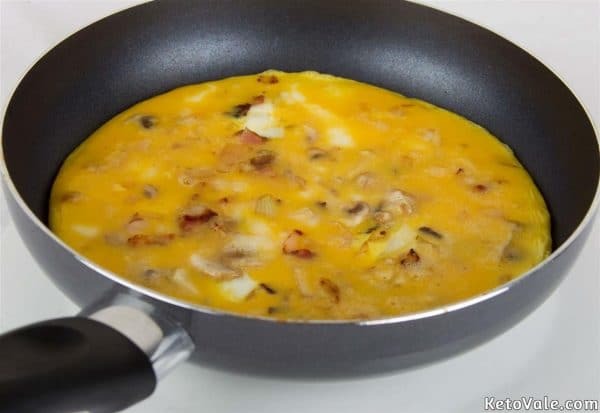 Once the omelette starts to firm up, ease around the edges with a spatula. 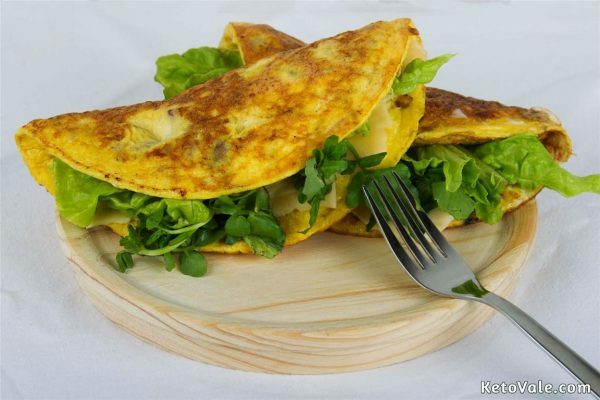 Lay the slices of cheddar cheese on one half of the omelette. Fold the other half onto the cheese. Leave in the pan for another 2 minutes then let the cooked omelette slide onto a plate. 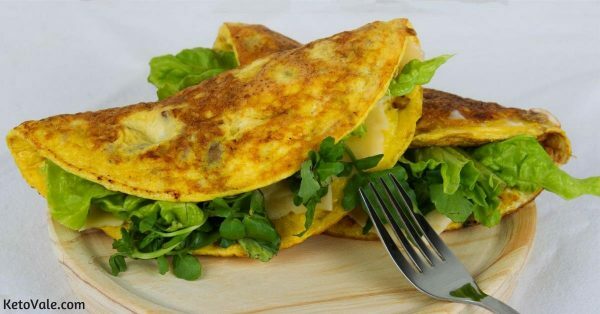 Fill the inside of the omelette with lettuce leaves if preferred. Serve immediately while still crispy and warm. Note: You can also add shrimp or ham instead of bacon. It will taste pretty delicious too. Enjoy!